We are serving through Apostolic Christian World Relief based in Illinois. But AC World Relief also operates under MEBSH, which is an acronym for Mission Evangélique Baptiste du Sud-Haiti (Evangelical Baptist Mission of South Haiti). MEBSH has been around a long time and has made significant progress in Christian training, education and healthcare across South Haiti. MEBSH grew out of the successful efforts of the non-denominational World Team, the Cuba Bible Institute and deported Haitian sugarcane workers from Cuba who returned to share the gospel. 413 primary and secondary schools. 1 university with 3 facilities: medicine, nursing, and engineering. 30 institutions with various goals, including a hospital (Hospital Lumiere), an outpatient clinic, a dental clinic, a radio station, a women’s domestic training center, a youth camp, orphanages, and our construction department and child sponsorship program. A typical MEBSH church. This one happens to be called the Bamboo church! MEBSH truly affects our lives here. 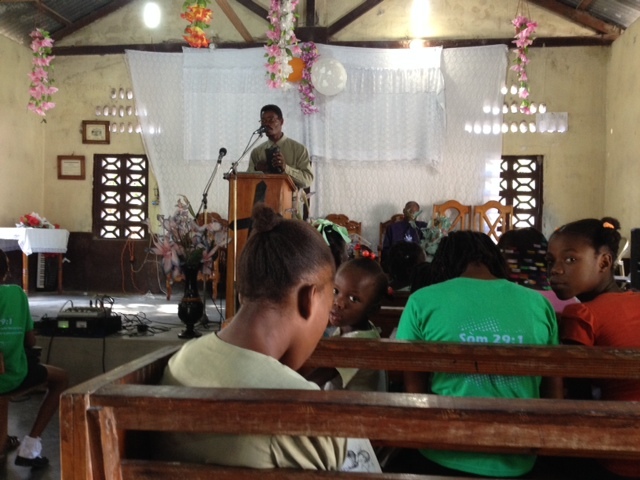 Our family attends a local MEBSH church on Sunday morning and a missionary Bible study on Wed. night. There is an English service planned once a month that alternates between Les Cayes and Hospital Lumiere. When work teams are here in the winter we get together more often. Many of the local missionaries attend these services and we appreciate the fellowship and shared meals. Grace is now in the 2nd grade where she joins a class of seven girls and one boy at the missionary school! Visiting the nearby Simon orphanage, operated under MEBSH. 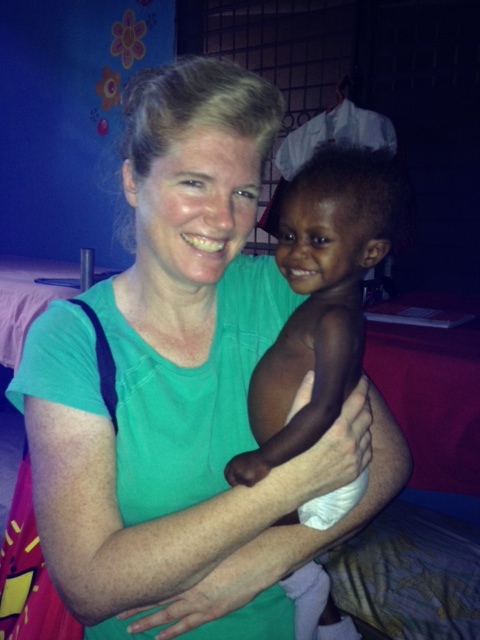 Mya is two and came to the orphanage right before Christmas weighing just six pounds. She had been left at the Les Cayes Hospital. Now she is at 13 pounds a month later and is very happy and smiles a lot! We have been here a month and were very thankful to see the sea container with our food and household things pull into the yard last Saturday! It is an exciting event to see what has arrived and it seems like everyone shows up to watch and help with the unloading. We have started language training and are really being challenged with this. But we are anxious to be able to converse more with the Haitians we come into contact with daily. We are enjoying new friendships even though we can’t always say too much yet! Evan returned to Ohio a week ago after spending his holiday break from college with us. He can now picture where we are and what we are up to, and where home is now! We really miss him! Grant has been working with the construction department and going out with the work teams as much as possible. (He will be sharing some of that in the next post!) 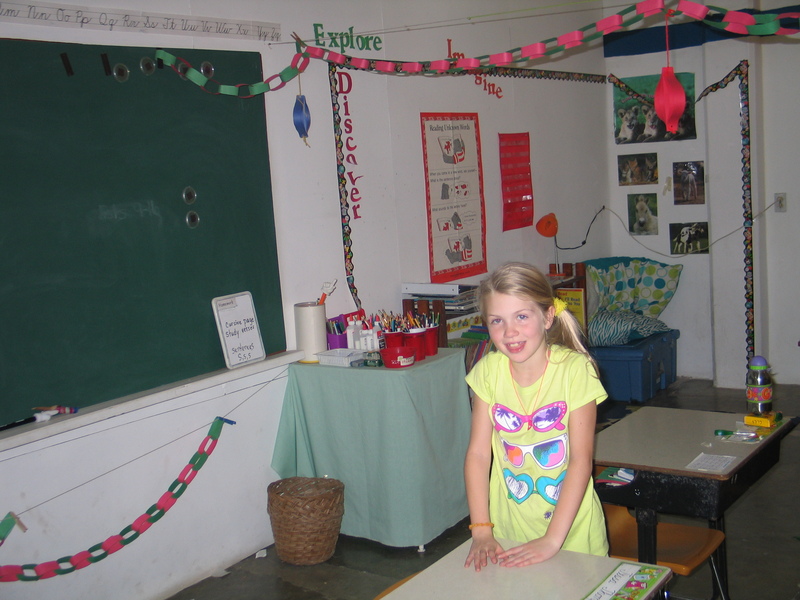 Trinity continues with her home schooling program and both Trinity and Grant are also in language training. 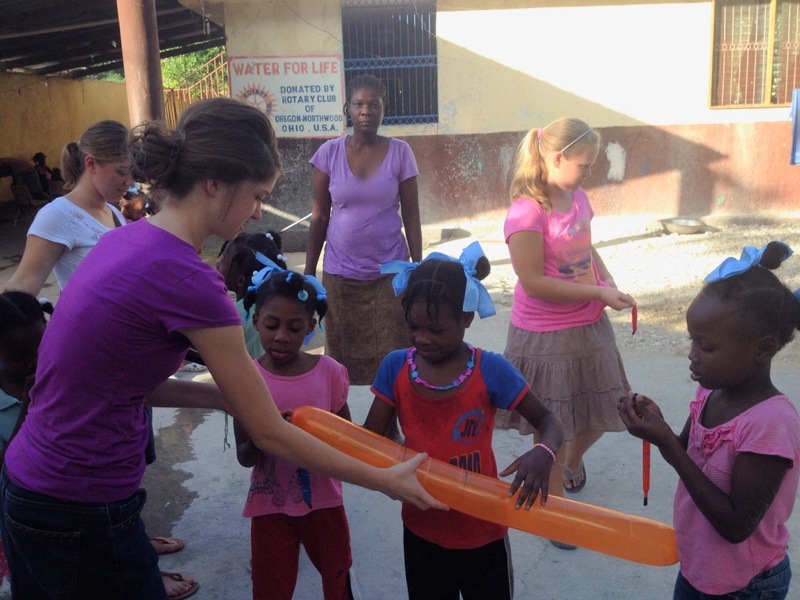 Grace has been attending her new missionary school for two weeks now. She really loves it! So good to hear how things are going! Praying for you guys! It is great to follow along with you via your blog! I was especially drawn to the picture of Susie and Mya. Thankful that your transition has been smooth, and trust God will continue to prepare you each day for the work he has called you to. Prayers continue for your precious family!